Seletar Camp has been popular during school holidays and this year, there has been a little more organisation – probably because for most of us, this may be the last holiday season here. Here is the full calendar – big thanks to Sue for organising the printing and Beavers for distribution. 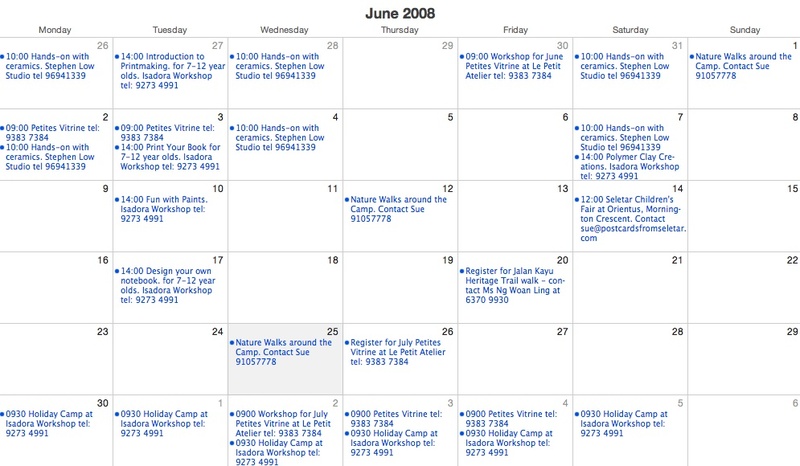 Click anywhere on the calendar for a larger image. More details are in the PDF files below.